Welcome to Pick of the Litter Pet Sitting, LLC in Scottsdale, AZ – In home pet and house sitting. 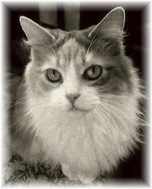 I have been a pet sitter in Scottsdale, Arizona since January, 2005 and absolutely love it! If you work long hours and would like us to come by to give them a mid-day break, or if you’re going out of town and can’t take them with you, we would love to help you out. Rather than putting your pets through the stress and physical illness caused by kennels or boarding facilities, let them stay in the comfort of their own home. We will come care for your pets with the same love they would get from you. We are available for daily visits during long work days, vacation visits, and even overnight stays or live-in situations while you’re out of town. While you’re on vacation, house sitting services are included as well. When I decided in 2004 to start Pick of the Litter Pet Sitting in 2005, I knew I wanted to make this my career, and my life. I took all the necessary steps to become a professional company that stands out from the rest. Pick of the Litter is a member of Pet Sitters International, and proud to be Cat Kingpin Certified. We are bonded and insured, and have excellent references from all our happy customers, to put your mind at ease (including an excellent rating on Yelp!). 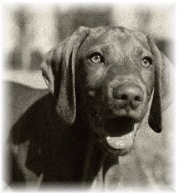 Pick of the Litter was on the front page of the Arizona Living section in the Arizona Republic on June 25th, 2005. They did a story about the business, which you can read on the “AZ Republic Pet Sitting Article” page. 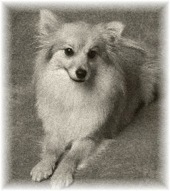 I was also interviewed for an article about “pampered dogs,” which ran September 28th, 2005. It was on the front page of the Arizona Living section as well. I was the proud owner of the adorable dog in the main picture! It was a fun and interesting article, which you can read on the “AZ Republic Designer Dogs Article” page. In addition, AZ Foothills Magazine featured Pick of the Litter in an article in the November, 2010 issue, entitled, “10 Ways Not to Lift a Finger,” which you can read on the “AZ Foothills Magazine Article” page. 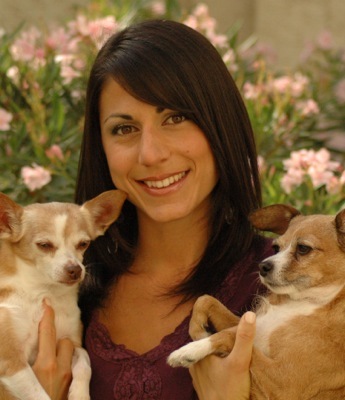 Most recently, I was interviewed by CBS Channel 5 for an article on their website entitled, “Valley Woman Turns Passion for Pets Into Career,” which was published on October 31, 2015. I was so honored to be featured, and think the article is a fantastic representation of who I am and what Pick of the Litter is all about. Check it out on the CBS News Article – Pick of the Litter Pet Sitting page. I understand that pet sitting is a very personal business; you are allowing someone into your home to care for your “children,” and you need to know you can trust that person. Many pet sitting companies have ever-changing multiple employees, so you never know who will be coming into your house. I will always make sure you meet the person caring for your home and pets, so you feel confident in your trust in them. Each member of my small team of pet sitters is excellent; they are all bonded and insured, have each been background checked (you can never be too safe! ), and have my complete trust. Please click the “Contact” link to fill out a Contact Form, which will give me all of the preliminary information I need to help you. Or you may e-mail me directly at Lisa@PetSittingScottsdale.com with the same information laid out in the Contact Form, including in what part of town you live. I service North Scottsdale, part of Phoenix, Carefree, Cave Creek, and part of Paradise Valley; zip codes 85255, 85254, 85260, 85262, 85258, 85259, 85250, 85253, 85257, 85251, 85266, 85032, 85054, 85331, and 85050. I so look forward to hearing from you, and providing you the best pet sitting service possible!